Headstrong, accomplished journalist Martha Gellhorn is confident with words but less so with men when she meets disheveled literary titan Ernest Hemingway in a dive bar. Their friendship—forged over writing, talk, and family dinners—flourishes into something undeniable in Madrid while they’re covering the Spanish Civil War. 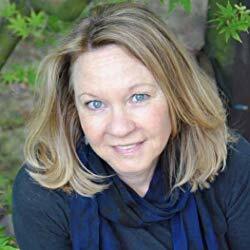 Meg Waite Clayton is the New York Times and USA Today bestselling author of five novels, including the Langum-Prize honored The Race for Paris and PEN/Bellwether Prize finalist The Language of Light. Entertainment Weekly named her novel The Wednesday Sisters one of “25 Essential Best Friend Novels” of all time. Clayton has written for the Los Angeles Times, The New York Times, The Washington Post, The San Francisco Chronicle, San Jose Mercury News, Writer's Digest, Runner's World, and public radio. A graduate of the University Michigan and its law school, she now lives in California. Find her at: www.megwaiteclayton.com; facebook.com/novelistmeg; @megwclayton. This book focuses on one of my favorite authors, Ernest Hemingway, and his third wife, Martha Gelhorn, or Marty has her friends call her. This is a story of two powerful personalities with great talent who respect, love, yet envy each other. 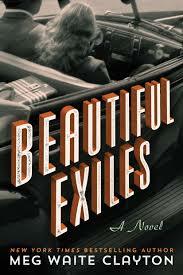 The wonderful thing about this novel is that you feel transported to the 1930's. The authors talent in describing everything, without too many words, is excellent. I felt as though I was in the same rooms, in the war zones, because the author was able to take me there. She does the same with the characterization of Hemingway and Gelhorn and those around them. You come away from the book feeling you know these people intimately. I read this book as a fan of Hemingway (and I still am - he was one of the first authors my reader father introduced me to as a girl) and so, although I know he was a flawed man, this book really focuses on those flaws. Because of my great admiration for the writer, I found this a bit off-putting. I think both of these people were flawed, yet I felt the author giving much more sympathy to Gelhorn, which is what I think she was going for. I do think that in real life, these two people brought out the worst in each other and this book very much reveals that. It's a difficult read from the point of view that you can see these talented people are wasting their life on booze and self absorption. We go through their relationship from the beginning to it's end and it's one bumpy ride! This was not an easy read for me, yet it was still a good story. I think I would have liked to have seen more good in these two people, instead of so much distasteful stuff. Everyone is flawed but this book really focuses on these two people's failings. Despite this, I enjoyed the authors writing style. I give this book 3 out of 5 stars.